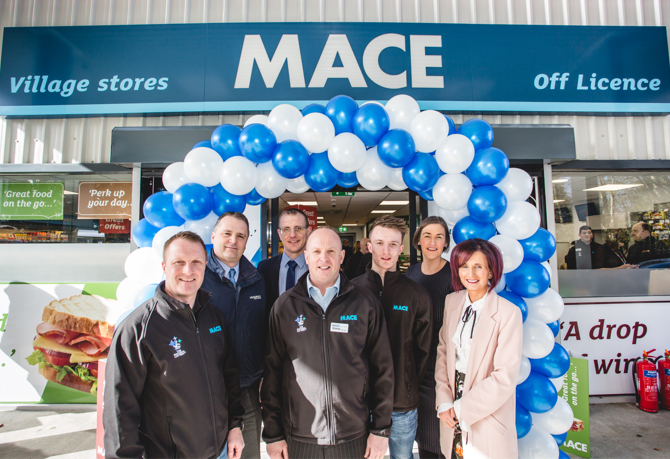 Musgrave has recently welcomed MACE Sion Mills to its expansive network, with the shop and forecourt bringing a much-needed convenience offer to the heart of community life. It’s been a great start for Martin McKenna, the proud owner of MACE Sion Mills who is bringing over 20 years’ experience to the leading convenience brand. The new store features MACE’s latest specifications and ‘hallmarks’, such as a Perfect Blend coffee dock, a great food-on-the-go deli, and also the ‘Fresh for You’ meal solutions range. The site also features a free ATM, PayPoint, forecourt, and on-site parking, providing a one-stop-shop for the local community. There is also an in-store bakery counter filled with delicious snacks, and piping hot pastries. The coffee dock, meanwhile, is spectacular, bookended by a selection of tempting treats with a state-of-the-art coffee machine centre-piece.